NTSC SGB’s, as well as SGB2’s work on all NTSC Super Nintendo and Super Famicom systems. Keep in mind that the cartridge ports are slightly different between SFC and SNES, so in order to use a SGB2 in a Super Nintendo system you’ll need to either play it with the console’s top removed, or simply modify the tabs on the inside of the cartridge port (see the bottom of this page for more details). As an FYI, all Game Boy games are region free and should work in all versions of the SGB. – Game Boy systems run at a clock speed of 4.194 MHz (I believe 4.194304 MHz to be exact) and the SGB runs at 4.295 MHz (4.295454 MHz). This causes a video “stutter” every few frames, which is most noticeable in side-scrolling games. Also, the games play slightly faster, which also results in a slight audio pitch change. – The SGB 2 runs at the GB’s original clock speed of 4.194 MHz, which makes gameplay feel much smoother. 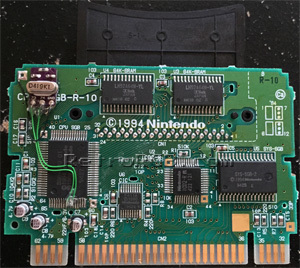 Also, the SGB 2 also had a game link port built in, allowing 2-player support with either a Game Boy, or a second SNES / SGB2. 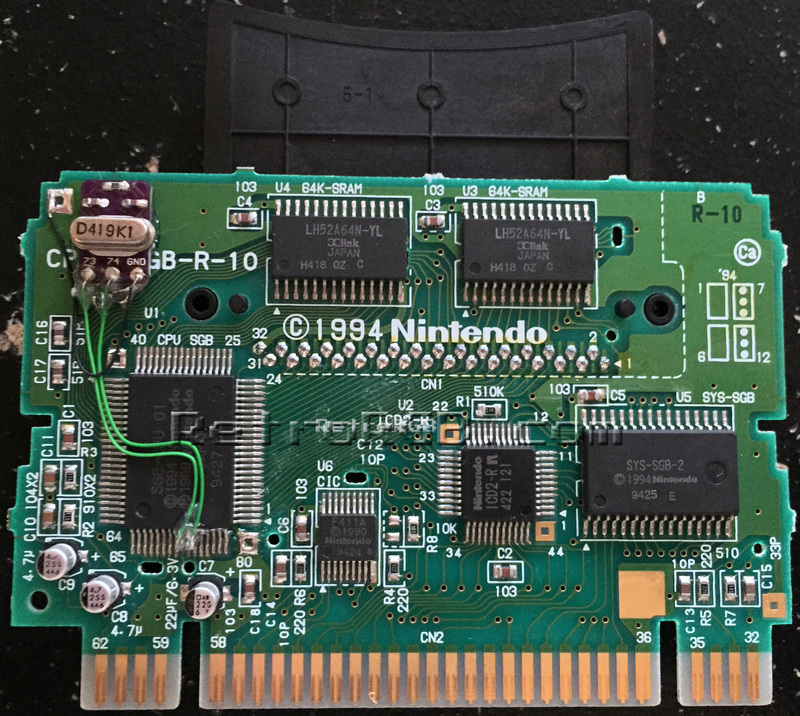 – As an FYI, the SGB 2 includes different borders than the original SGB. To access the SGB1 borders on SGB 2, first select the black border. Then, exit the menu, push Lx4 then R. Do the same thing to switch back to Super Game Boy 2 borders. You can mod a SGB 1 to include the game link port and even mod it to run at the correct click speed (the same as the SGB 2). This essentially turns a SGB1 into a SGB2. The main advantage of doing this instead of just buying a SGB2, is so the SNES itself won’t need to be modded to fit a SGB2. I had mine modded by Thursday Customs, the same place that did all my handheld light mods. The Retron 5 plays GB and GBC games, but there is a lot of controller lag. I don’t recommend using it at all for GB/GBC games, however GBA seems good enough. Also, just to reiterate: The SGB adapters (or the HDMyBoy) will not play GBC or GBA cartridges. If you’d like more info on how to play those games on a TV, please see the GBA Carts on TV section. Please click here to see screen comparisons of each system, or click here to go back to the main Game Boy page.